I received an interesting Esquire article by email from a reader who thought I would enjoy the detailed story of Swissair Flight 111. Published in 2000, it’s called The Long Fall of One-Eleven Heavy and is a very emotional and literary description of the crash of Swissair flight 111.
two months before the crash occurred. 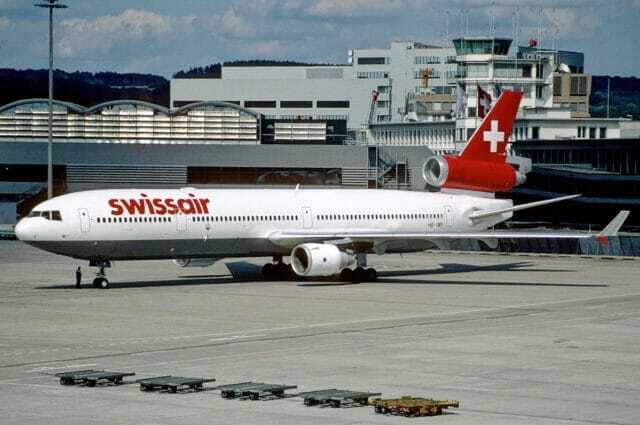 Swissair flight 111 was a scheduled flight from New York City to Geneva Switzerland. The aircraft was a McDonnell Douglas MD-11. About an hour into the flight, the pilots realized that there was smoke in the cockpit and contacted ATC for a diversion to land. Unaware of the fierceness of the fire, they agreed with the controller that they would turn south to dump fuel before coming into land. Meanwhile, the flight crew went through the Air Conditioning Smoke Checklist, which was quite detailed and checked for a number of different simple causes. 14 minutes elapsed before the pilots realized the severity of the issue and declared an emergency. 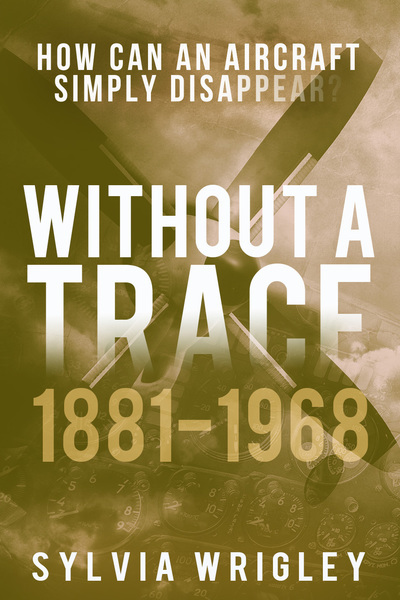 There was no further contact with the flight and a minute later, the recorders stopped recording, a sign of a catastrophic failure of the aircraft. Four minutes later, the MD-11 crashed into the ocean. I wrote about this tragic accident briefly eight years ago, when I’d first started posting about commercial incidents. It’s interesting for me to see how my style and tone has changed over the years. I can’t remember the last time I managed to summarise an accident in under 600 words! The strength of accident investigations is that it is not simply a blame-allocation exercise. 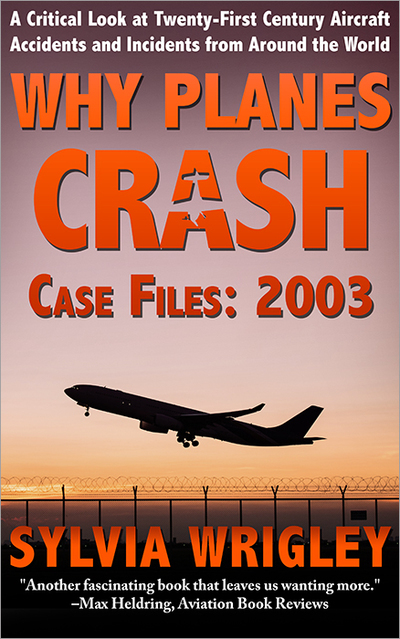 2008 NTSB statistics for scheduled flights show one accident per million flight hours, no fatalities. One of the reasons that aviation is relatively safe is because every accident is treated seriously, rather than dismissed the moment someone is found who could be held accountable. The focus over the last few decades has been on how to avoid the same scenario or sequence of events in the future, which is critical. A very good example of how this works is Canada’s Transportation Safety Board of the Swissair Flight 111 in 1998. My piece is very short; I mainly wanted to make people see how easy it was to blame the pilots for making a bad decision when in reality, they were only the last safety net before catastrophic failure. In this case, it was the checklist which was the problem. Modern smoke and fume checklists make it clear that the time is critical and that crew should land as quickly as possible from the start, while they are still investigating the cause. I always thought I might revisit some of those older posts, flesh out the details of those accidents which are important points in the history of aviation safety. But time is limited and everything I write is a decision not to write something else. So it’s one of those things that I never get around to and probably never will. The person who sent me the article was right, I enjoyed it a lot. It’s a very different angle, focused on the place of the crash and the people left behind and the emotions wrapped up in a tragic accident such as this one. It doesn’t step through the accident but it offers a lot of detail and a lot of context which not available in the report. I think you will enjoy it too. And of course, there’s only so much time to read. So this week, I’m leaving you with this article by Michael Paterniti written in 2000, just two years after the crash. It was summer; it was winter. The village disappeared behind skeins of fog. Fishermen came and went in boats named Reverence, Granite Prince, Souwester. The ocean, which was green and wild, carried the boats out past Jackrock Bank toward Pearl Island and the open sea. In the village, on the last shelf of rock, stood a lighthouse, whitewashed and octagonal with a red turret. Its green light beamed over the green sea, and sometimes, in the thickest fog or heaviest storm, that was all the fishermen had of land, this green eye dimly flashing in the night, all they had of home and how to get there — that was the question. There were nights when that was the only question. If you are interested in the technical details and flight information, the accident report by the Canadian TSB is very long but still fairly easy to follow and will fill in the remaining gaps: Aviation Investigation Report A98H0003. Yes this was a sad accident and would have been totally preventable. As I seem to remember, the fire had been caused by the installation of non-standard entertainment equipment. The crew did what they were trained to do, but one could say that their training and the adherence to procedures, instead of providing the crew with a set of actions that would save them, lead to their death. Procedures are formulated in the emergency checklist that, when followed are supposed to lead to a logical solution of the problem. But the procedures in this case not only were not related to equipment that had caused the fire, equipment that had not been designed to be incorporated in the aircraft and, besides, were far too drawn out. Not all that many years ago, a Quantas A380 suffered an in-flight disintegration of a major part of an engine which in turn caused multiple failures and damage to the aircraft structure. Here, again, the emergency checklist proved to have been unworkable but the crew managed to work their way through it, only to be confronted with one problem after another as they worked their way through the alerts on the CAP. 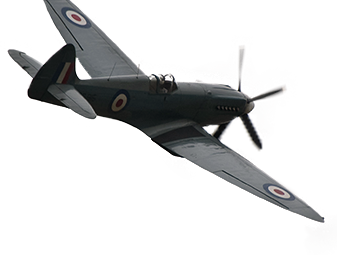 Aviation maybe is alone in all forms of transport that uses data from all accidents – insofar as causes are known – to constantly learn from and disseminate the results of accident investigations so that aviation will become safer because of it. Interesting comment, thanks. It makes me wonder if the crew should be trained in the basics of how the airplane works, so they can make educated guesses when procedures are not sufficient. 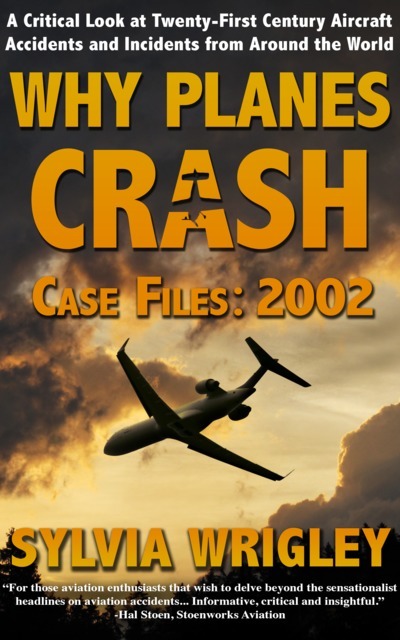 They did a study and determined that no matter what, flight 11 would not have landed safely, even if they tried to land immediately at the first sign of smoke. 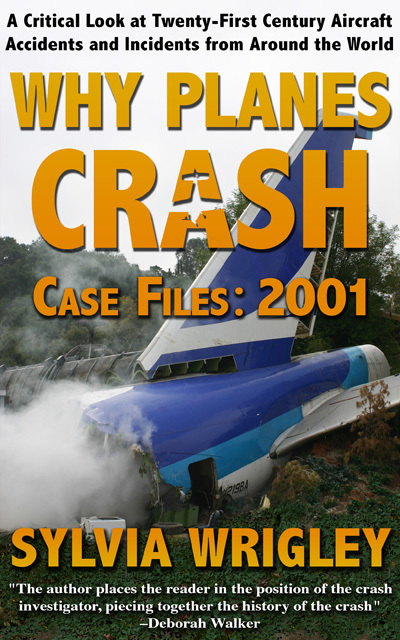 The checklists needed to be fixed, but they didnt cause this particular crash. After the Quantas incident, Airbus Industries realised that there are situations where the time it will take to go through the emergencies can be too long. In modern aircraft, failures are announced on the Central Alerting Panel (CAP) in sequence. The on-board computers decide on which failure is the most urgent so that the crew will deal with each problem in the order that is supposed to lead to the best outcome, rather than present them with a multitude of red and amber warnings all at once and leave it to the crew to sort it all out. It also of course tends to mask the magnitude of multiple failures, something that may not have been given the attention it needs in the past since (as we know now) the likelihood of it occurring was underestimated: A warning comes up, accompanied by the appropriate oral warning and a red, amber or white light illuminates. The crew presses the light which then will announce the nature of the problem (only very urgent problems, requiring immediate action – memory items – will be announced at once). The crew will work their way through the problem according to the emergency checklist and confirm completion. When they press the light again it will extinguish. But if there are other failures, this will then be presented until solved in the same manner. At the end of all that, the panel will be black but the crew can recall the problems by pushing a button, causing all the (presumably resolved) items to be shown. This usually works very well and reduces the workload and resulting stress on the crew. Only: the damage to that particular A380 was of such extent that this system proved to be inadequate under the circumstances, and led to a lot of time wasted, time that might have led to a catastrophic situation whilst the crew were working their way through one problem after another. The A380 of course was a brand-new type and the first (only ?) Super-Jumbo passenger transport jet ever. Only Russia built aircraft that are even bigger, and only a few of them. So it was uncharted territory for both the crew and the manufacturer. I do not really think that it is possible to formulate procedures to train a crew for this kind of situation, Airbus Industry no doubt has been working double overtime to come up with solutions. But yes, it does pose interesting questions about how to deal with the unexpected in extremely complex aircraft. The Quantas crew coped with this situation extremely well, by-the-way. Consider this; sabotage. Excessive magnesium residue in the area of the cockpit triggered this experienced investigator.